An accepted narrative holds that horrible Rwandan Hutu génocidaires planned and executed a satanic scheme to eliminate nearly a million Tutsis after a mysterious plane crash killed the former president of Rwanda on April 6, 1994. Yet former UN Secretary General Boutros-Ghali says, “the Rwandan genocide was 100 percent American responsibility.” Where lies the truth? 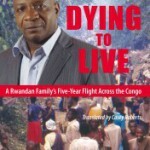 Based on vast research, extensive interviews, and close analysis, this fascinating account shows not only that the accepted narrative is false but also that it has been edified to cover-up the causes of the tragedy, protect the criminals responsible for it and then justify the invasion of the Congo. on April 6, 1994, which triggered massive killings. These include the invasion in 1990, drawn-out guerrilla and terrorist warfare, imposition of a new political and economic order followed by an ill named “peace process” that sanctified the occupation of the country by the invading army, and the assassination of two African heads of state. The third part takes down the so-called international criminal justice as applied to Rwanda and explains how and why the murderous, never-ending war in Congo began. 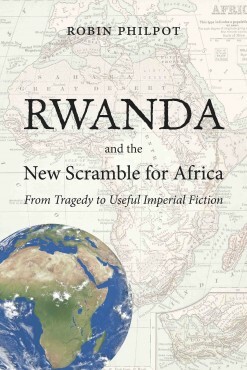 “Robin Philpot’s Rwanda and the New Scramble for Africa effectively dismantles a remarkable structure of disinformation on an important area and topic and it throws light on the broader thrust of imperial policy. This book is essential reading.” Edward S. Herman, Co-author of Manufacturing Consent (with Noam Chomsky) and The Politics of Genocide (with David Peterson). In Slouching Towards Sirte, NATO’s War on Libya and Africa Max Forte wrote, “Everywhere is Rwanda for the humanitarian imperialist, which makes one want to know what really happened there in 1994.” This book attempts to answer that question. Rwanda and the New Scramble for Africa, which is part of Baraka’s Africa, African Diaspora, and International Politics collection, appears as we approach the 20th anniversary of one of the worst tragedies in modern history. Robin Philpot is a Montréal writer, translator, and publisher. Born in Thunder Bay, Ontario and a graduate of the University of Toronto, he lived and worked in Africa for several years before settling in Montreal, Quebec. 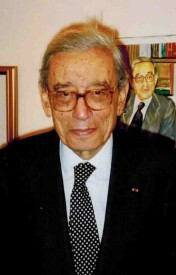 He is the author of six books in French on international politics and on Quebec and Canadian political issues. He is also co-author of A People’s History of Quebec.